Most of us suffer from the issue of extra fat in some areas of our body like tummy, thighs, and face which really looks ugly and unattractive. This extra fat can be removed through some non-surgical and surgical processes. Here we will discuss thoroughly the non-surgical vs. surgical fat removal procedures. The non-surgical process of fat removal is also known as a non-invasive process. Under this method, extra fat of your body is removed via some non-surgery techniques. Means without any cut and scissor you can get your desired look with it. Many well-recognized treatments come under this for treating different skin issues and extra fat of body. Under surgical fat removal procedures less to high intense surgery process is been applied to remove extra fat and other face related problems. Liposuction process comes in the first rank when we talk about a surgical process of fat removal. Because of its successful results in last few decades, its popularity is picking heights. Surgical procedures tend to decrease extra fat from your body permanently so this is the plus point when we compare it with the non-surgical procedure. Again there is an advantage of toning your face and mussels without any use of anesthesia and scissor in the non-surgical process. So it can be said that it totally depends on the person who is going to use them. If someone is looking for short-term benefit as because he or she don’t want any surgery then the non-surgical process is best for them whereas if someone wants lifelong effect then the surgical process is the best suited for their purpose. Non-surgical vs. surgical fat removal procedures concept is quite vast. We cannot reach any conclusion until we thoroughly knowledgeable about both the process in depth. So let’s first discuss both the procedures separately in order to come to the right conclusion. Surgical procedure tends to change your appearance completely. So people who want to reduce extra fat over there body( specific parts) or wants to remove aging effect on face completely choose for surgery process of treatment. With the surgery, the loosed and sag portion of your face is being uplifted via surgery treatment which is much more effective than the non-invasive laser treatment or chemical peel treatment. God has not blessed all of us with beautiful facial features or body curves but with the surgical fat removal process, you can fulfill your entire wish to look gorgeous and attractive. This process is called implants. With the implant surgery, one can remove extra fat on their different body parts like breast implant tends to remove extra fat from breast and reshaping it, facial implant tends to reshape your nose, cheeks, and chin. When reshaping of facial areas and some specific body parts are desired the best surgical treatment recommended by most of the dermatologist is liposuction which is getting popular among the users because of its effective and desired results. 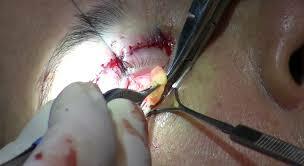 Under this process, a very small incision is applied to reach the location that needs to be treated. Shapelier is another surgical process of fat removal which is getting popular among the users. Fat grafting is also a fat removal process which removes extra fat from one place and adds it to the portion which you want to enhance like cheeks, jawline, under eyes etc. Under surgical fat removal, procedure anesthesia is used during the process which really takes very long time for recovery with the comparison to non-surgical treatment procedures. 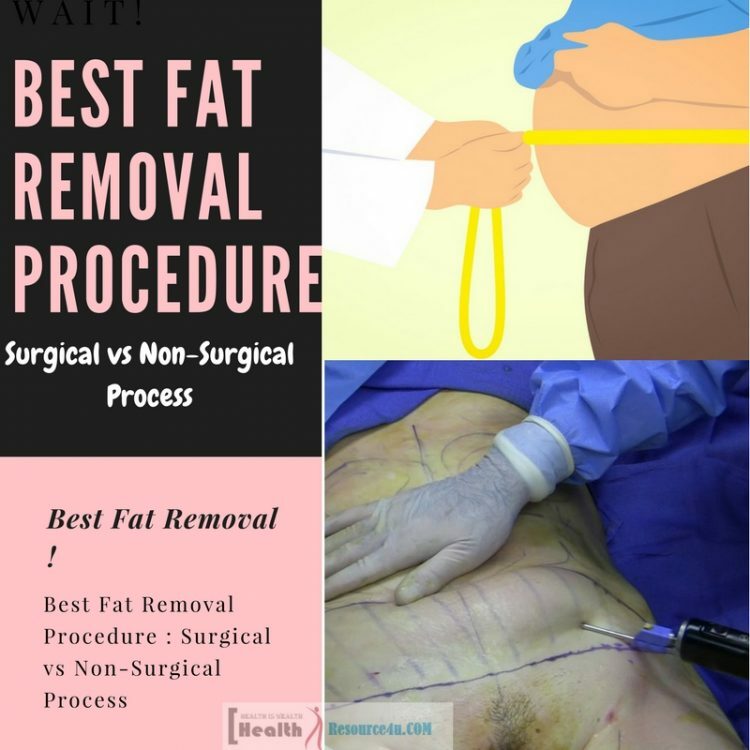 Some popular surgical process of fat removal is been described below. Liposuction surgery process is also known as a most invasive traditional procedure of fat removal. This is the most well recognized and popular surgical process of fat removal. The surgery process is conducted by giving general anesthesia to the person who chooses for surgical fat removal. As only an anesthesiologist or surgeon can inject or give anesthesia so the person who looks for surgery process for removing and adding extra fat to the body and facial part needs to be hospitalized for conducting the surgery process. You get totally unconscious after getting the anesthesia. This is very important for proceeding with the surgery process. A surgical cut or incision is done to the skin for initializing this surgery process then cannula (an instrument) is inserted. It depends upon the surgeon what type of cannula is been applied for the surgery. Some of the surgeons use the manual cannula which scrapes the fat aggressively whereas some surgeons use the powered cannula. When a surgeon applies powered cannula, it bites or shaves the extra fat of your body for making your skin smoother and firmer. With the help of cannula, fat of your body is made to be looser and this helps in removing extra fat from the body by constant suction. One thing you should be aware of if you are planning for the liposuction surgery process that this process should be applied in the cases where a larger amount of fat needs to be removed permanently. Though this invasive process reduces extra and unwanted fat on your body this is not totally free of some side effects and other medical issues. Sometimes the person gone through with this surgical process complains about extreme bruising, itchiness and pain. It can only remove fat from your body so if you think that along with fat removal your skin will be tightened when you are wrong. Many times this surgical process leave the user with losing and creepy skin that really looks dull. It takes very long recovery time so keeping all these things in mind one should opt for this procedure. The person who goes through liposuction surgery process has to wear the compression garment at least for six months. Initially one should try a normal process of fat reduction like workouts specialized for reducing body fat, dieting etc. if these are not effective and the condition is severe (due to excessive fat) then only this surgery process should be chosen. An especial suction device is applied for removing extra fat deposited in your body. This is the oldest procedure of fat removal via surgery and most popular one throughout the world. The anesthesia is applied which puts the person in sleeping state. It should be used properly on patients otherwise it can cause several severe side effects and complications later on. It will not be wrong to say that most of the patients who face side effects after the surgery, primarily due to anesthesia. Very large incisions are needed to be made in the traditional liposuction process for entering the large surgical instruments naming cannulas. With jabbing motion cannula gradually enters to your body and fat or muscles are being scrapped. The scrapped part of fat or muscles is sucked by the aspiration process. Sometimes a very large volume of IV fluid is given for replacing the lost fluid of body during the surgery process to the patient. The smartlipo surgery process is also known as minimally invasive liposuction process. In this surgical procedure, a laser therapy is applied which liquefies the extra fat or muscle of your body before removing it. This surgery process is also known as laser assisted liposuction process. Its name is kept on the name of a laser called Smartlipo which is used in this process. Smartlipo Triplex is the latest type of smartlipo surgery which uses three separate laser wavelengths during the surgery process. Local anesthesia is used during this process so apart from hospitals it can be processed in any office also where operating room lies. This laser surgical process helps in skin tightening, fast and effective fat melting, protection to nearby skin tissues etc. In this process, very small incisions are performed with the comparison to liposuction surgical process. That is why it is called as the minimally invasive process. The local anesthesia which is applied in this process, keep the patient in awakening condition throughout the surgical procedure without any feeling of pain so this is less complicated than the anesthesia which is used during the liposuction surgical process. This local anesthesia numbs to your skin as it is made up of epinephrine and lidocaine. After the skin gets totally numb the cannula is inserted into the laser fiber threaded. Once the fat is melt or liquefied then suction or aspiration is connected to it which removes the melted fat of your body. The other plus point of smartlipo surgery over liposuction surgical procedure that its recovery time is very less than liposuction. As a post-surgery effect, you can face sore for sometimes but it will no way obstruct your daily general activities. In many cases compression garment is needed to be worn off for at least for three weeks. So overall this is an easy and effective surgical procedure for removing extra fat from the body. Apart from these two primary surgical procedures, there are some other popular surgical fat removal processes are also which helps in removing extra fat from your body and face. Non-surgical fat removal procedures are also known as non-invasive or minimally invasive procedures. As there is no requirement of any local anesthesia or surgery in this type of treatment that is why it is known as non-surgical treatment process. People who want to get rid of aging effect like dark wrinkles will find this as most effective cosmetic treatment. It is good for both men and women, so anyone can apply it without any fear. Some most popular and effective non-surgical process include Botox, soft tissue fillers for removing wrinkles, hair removal via laser, chemical peels for adding volume to cheeks and lips, microdermabrasion for removing scars, wrinkles, skin toning and texturing. Zerona is a well popular non-surgical fat removal procedure which applies cold laser technique. The reason behind the name of cold laser technique, it is not at all hot like other laser process but it doesn’t mean that it applies freezing process. Zerona is applied by those who want to reduce the overall body fat. It needs to be accompanied by some other look after regarding the lifestyle and diets. The people who undergo this non-surgical fat removal treatment procedure are expected to drink more water and daily exercise is mandatory. This non-surgical process is not very popular as there hardly any dramatic change is observed after applying this, also the person who applies this mostly have already tried the dieting process and workout for getting rid of extra body muscles. Hence this is less effective one. Under Coolslupting non-surgical fat removal procedure, cold temperature is used for killing the fat cells with the help of chilling and suction devices. These devices are kept on the fatty roll like the waist or abdomen. During each treatment process of Coolslupting the fat or muscle is sucked into a device which carries cold plates. Each treatment takes minimum one hour time. The Coolslupting procedure works on the principal of frostbite treatment process where the skin is exposed to the freezing temperature which causes to destroy the skin cells where it is applied. The slight difference between both the procedures is that under Coolslupting, surrounding parts skin remains undamaged, only the target fat portion is eliminated. This is an effective way of removing extra fat from your body via a non-surgical process. Though this is a result-oriented procedure it is not totally free of some side effects. Like some of the people who have applied this generally faces discomfort and numb sensation for few months until the sensation returns to its normal position. Liposonix is another non-surgery process which is also known as high-intensity ultrasound technique. This is a treatment procedure of one hour. In this process, an applicator is kept on the target body part and a continuous lesion is created on the fat portion without harming the skin surface. The patient who goes through this process gets the feeling of tingling, pin or needle insertion etc. A successful liposonix treatment results in a one-inch fat reduction in the body which is quite good as you are getting a positive and desired result without any cut or scissor as you have to face under any surgical process.Some patients experience swelling, redness and bruising after this non-surgical process, which exists for few months. UltraShape is also a way of treating fat with the ultrasound technique. Under this non-surgery procedure of fat removal, the ultrasound energy is directly applied to tight fat existing below your skin surface. It cuts the fat cells membranes without affecting the nerves, blood vessels, and surrounding skin. The total duration of ultrashape surgical treatment is of 45 minutes and all total three treatments are needed to be done in order to get an optimal result. Out of all surgical treatment it is considered as most comfortable one as it is not associated with any side effects. The TruSculpt non-surgery process is applied to the body sculpting and skin tightening purpose. Intense heat is provided to the fat cells through radio frequency waves in this technique of the skin treatment. The total duration of this treatment is of 15 minutes to one hour. There are no major cases of any side effects under this treatment. 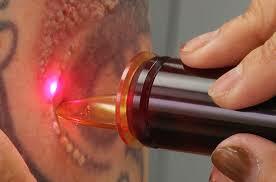 In very rare case redness and softening is observed but get resolved within few hours. After complete and thorough discussion of both non-surgical vs. surgical fat removal procedures, we can say that both the techniques are good in their own way. 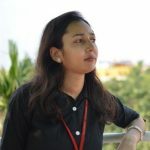 Some people get benefitted out of the surgical techniques of treatment whereas some gets benefitted out of the non-surgical treatment process. The mixed combination of both these techniques is also proved beneficial in many cases. Whatever the technique you are planning for your skin tightening issue and fat or muscle removal of your body make sure that you are aware of its associated side effects that you might have to face as after-effects of treatment.